It’s been a while. These days I’m working on a web service “Oinker” off and on, squeezing time from busy days. Recently, I’ve started pulling well-proven features from Piggydb and adding them to Oinker. One of them is a content publishing capability which is implemented as “Anonymous Access” in Piggydb (sample site). Oinker’s publishing feature is more sophisticated than Piggydb. You can publish your content on a room basis. A room is like a chatroom in Oinker and it has a chat timeline and a board on which you create content with your roommates. 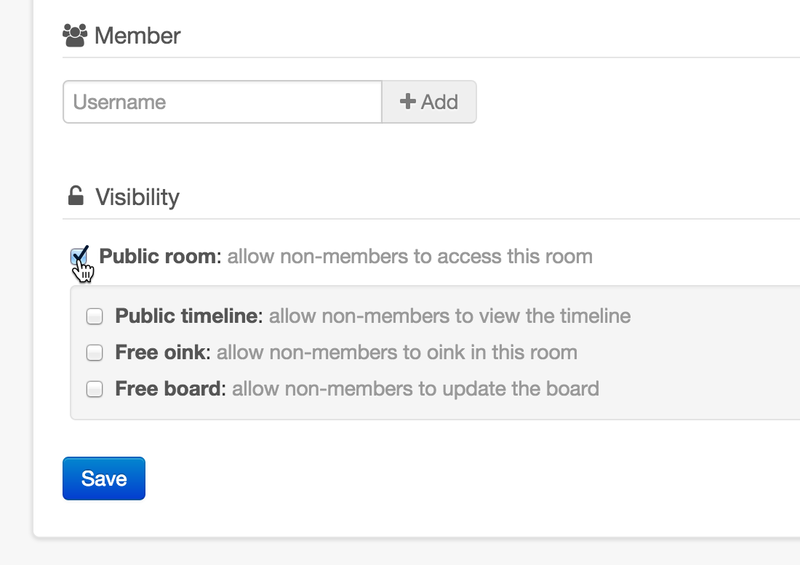 You can make a board open to public so that anonymous visitors can view the content, and additionally allow logged-in users who are non-members of the room to view the timeline and post messages to it. So you can not only publish your content, but also collect feedback from audience.